LIVERPOOL FAILED TO overcome Bury in a pre-season friendly as a host of the Reds’ first-team stars failed to spark in a 0-0 draw at Gigg Lane. Jurgen Klopp named a strong side to face the League Two side, with Virgil van Dijk, James Milner and new arrival Fabinho among the starting XI, while Loris Karius — under the microscope again after his error cost Liverpool a goal against Tranmere in midweek — retained his place. And Karius was not allowed to forget recent mistake, with some sections of the crowd jeering the goalkeeper during the first half. Karius proved his quality early in the second half, making a fine stop to deny Chris Dagnall, with Ryan Cooney hitting the post on the rebound. Ben Woodburn went close for Klopp’s men at the other end. Kamil Grabara replaced Karius after an hour, and although the youngster looked to have conceded when Jordan Archer tapped home, Bury’s goal was ruled out for offside. Email “Karius jeered as Liverpool's stars fail to shine in Bury stalemate”. 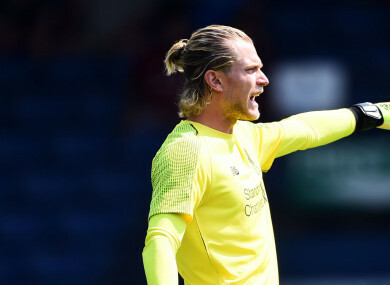 Feedback on “Karius jeered as Liverpool's stars fail to shine in Bury stalemate”.